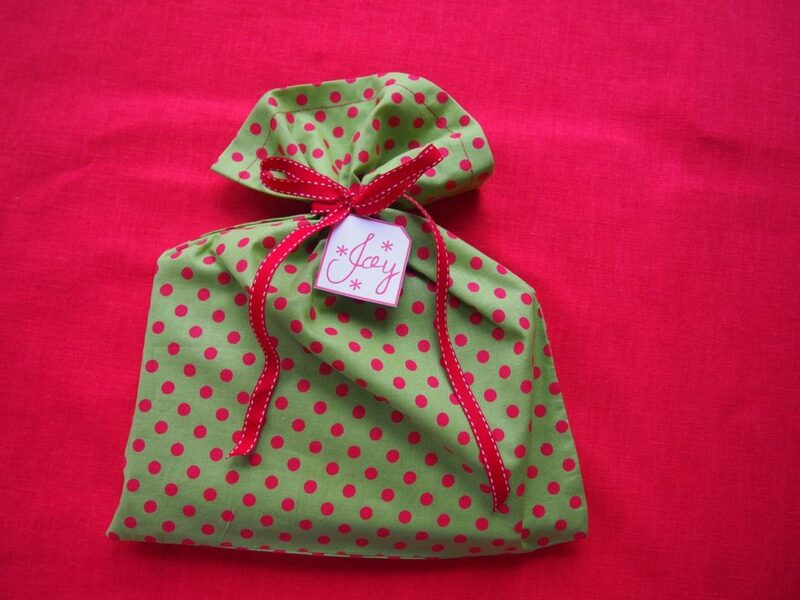 I first made fabric gift bags over 25 years ago when I was in the middle of wrapping Christmas gifts for our family of six children. The funny part is that I didn’t even know how to sew! 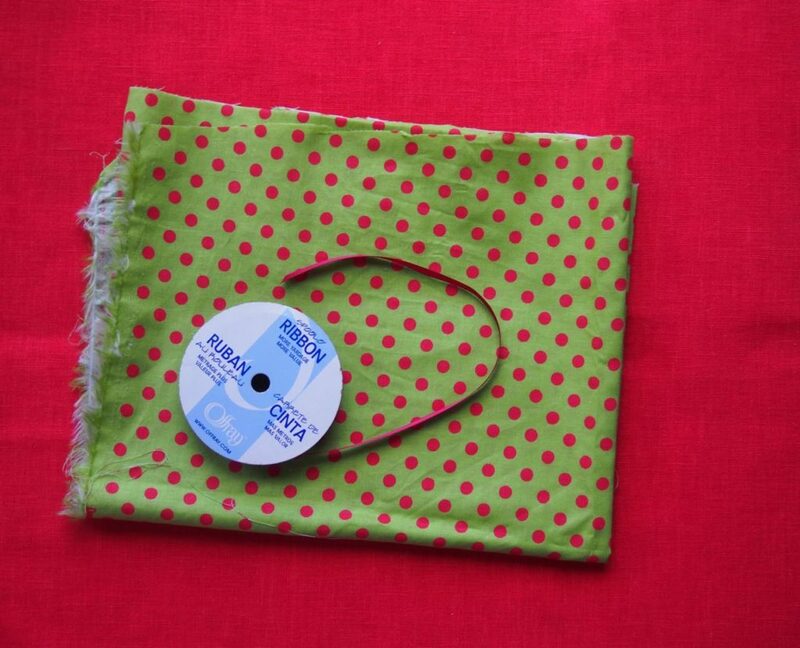 And I used a garage-sale sewing machine. But the process was so quick and easy that even I could do it. And I could do it fast. And cheaply. AND WE ARE STILL USING THOSE SAME BAGS OVER 25 YEARS LATER. Look for fabric on sale. 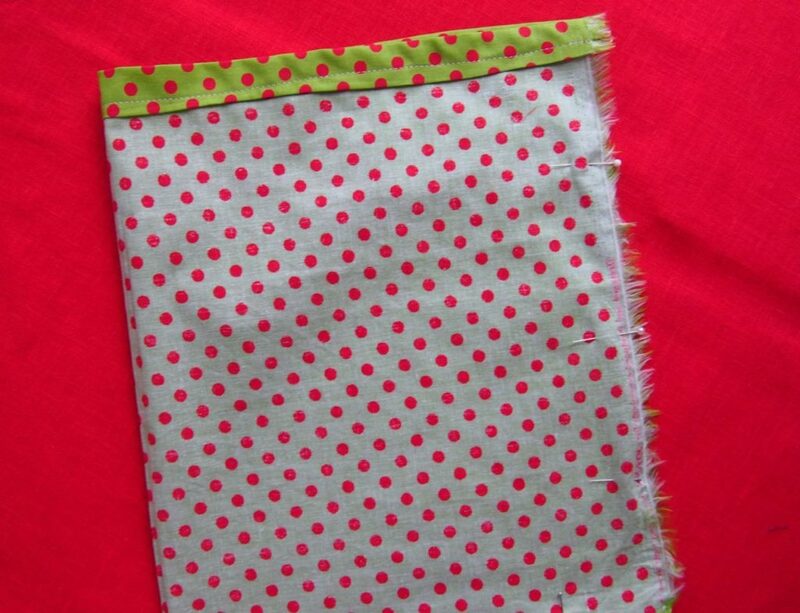 Sift through your Christmas supplies for scraps of fabric, old table runners, placemats or tablecloths that can be cut up. You will also want an appropriate color strand of ribbon. 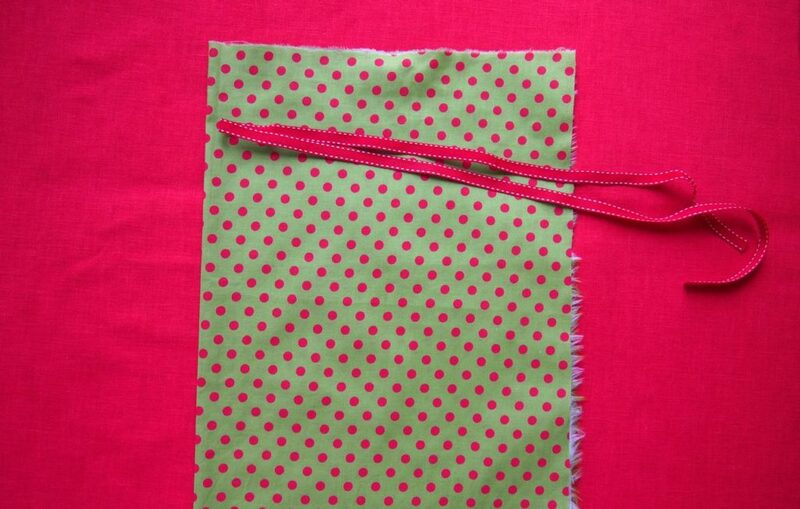 Decide the size bag you want and cut the fabric. [Personally I prefer taller bags like a pillowcase instead of wider ones.] Decide which is the top opening and fold the fabric in half. Measure and cut the ribbon about two times the width of the top opening. 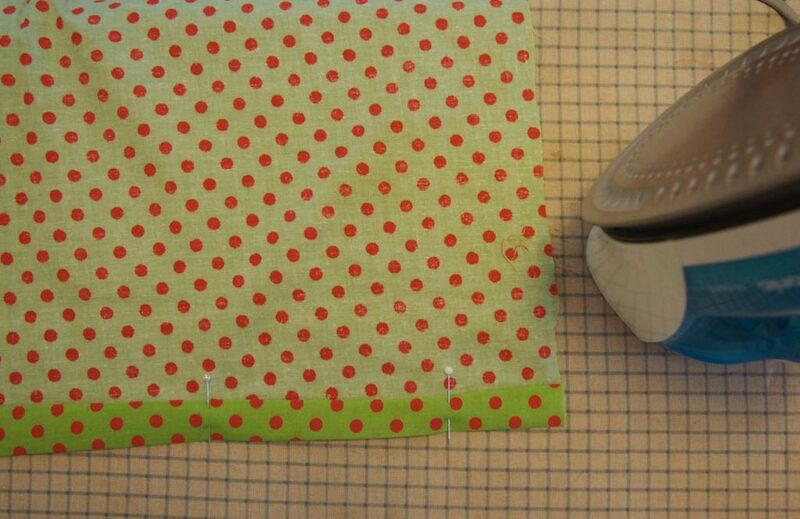 Fold the top of the bag down 1/2″ and iron flat. Fold down again and iron flat again. Secure with a couple of pins. Fold the “pretty” sides together; tuck the length of ribbon inside about 1/4 of the way from the top; pin along the raw edges. 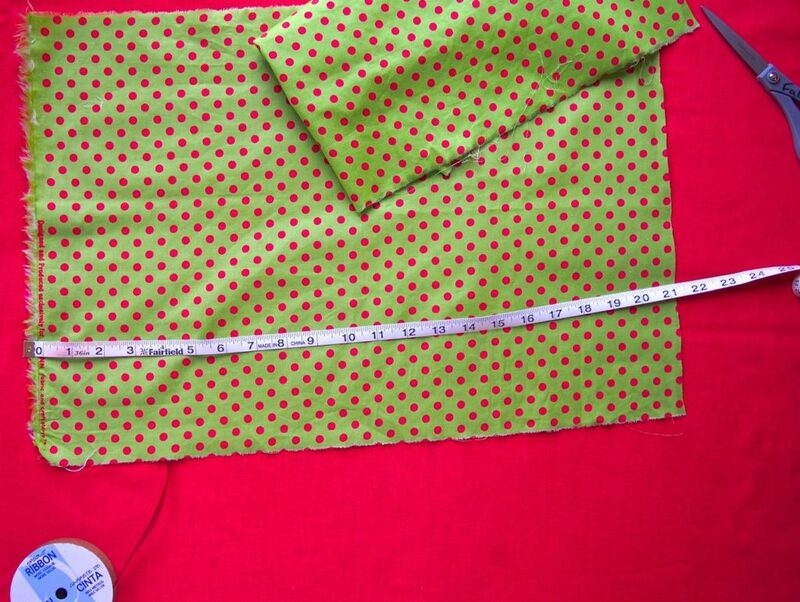 Sew along the raw edges, starting from the top. When done, turn the bag pretty side out and press. 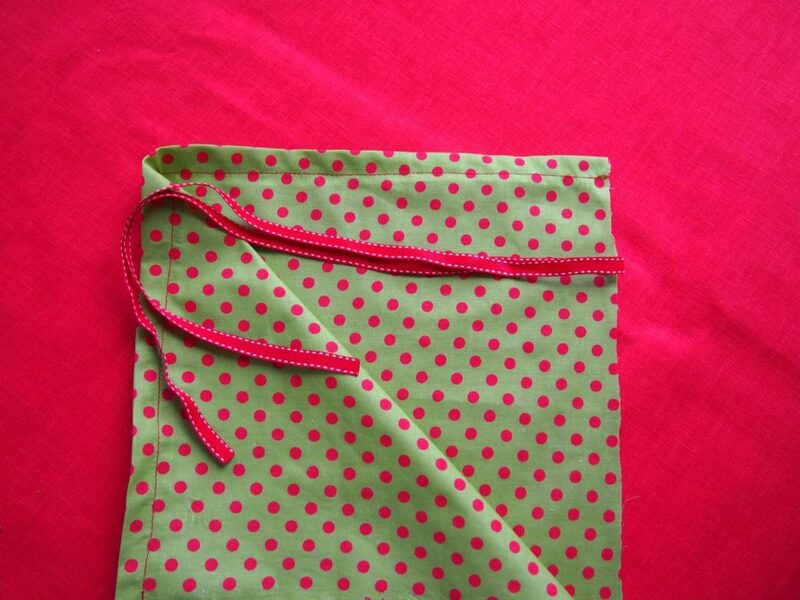 Place your gift inside the lovely bag and tie the ribbon into a bow. Smile. Link for Joy tag printable. And there you have it. 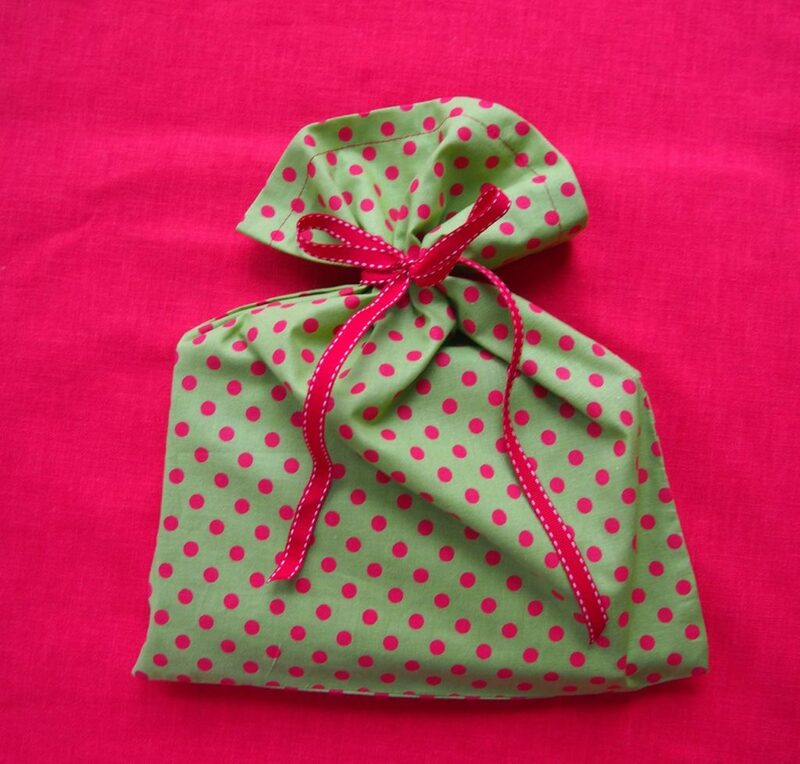 You have whipped up a beautiful gift bag in minutes. Bet you can’t just make one! My family knows to save the bags after they open their gift; we use them Christmas after Christmas after Christmas. Can you just imagine the time and money I have saved over the years? 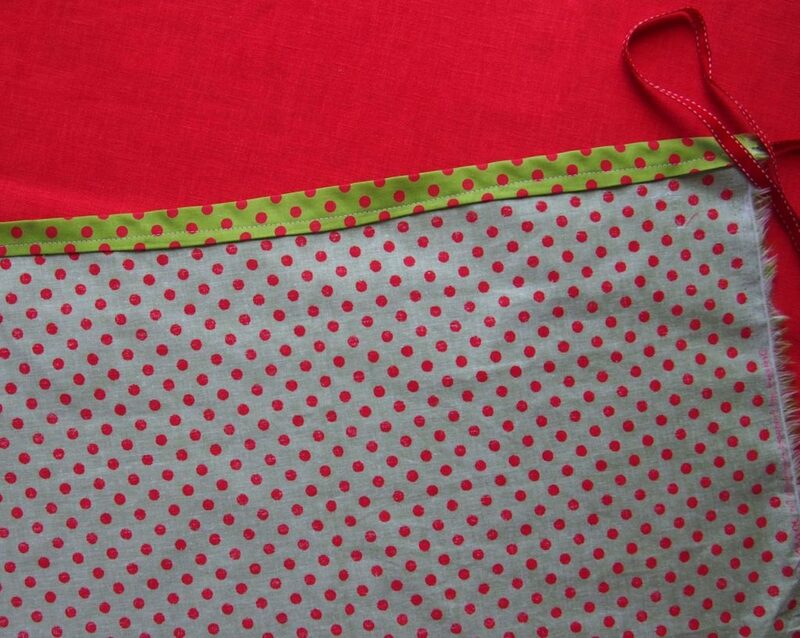 –If you are using fabric that frays easily, you can use the zigzag stitch or pinking shears on the seams. –When you put the gift into the bag, don’t tie the ribbon in a knot; it will make it too difficult to open. It may even require using scissors, and then the ribbon will be gone for future use. –Children love to rip off wrapping paper, so when I’m using the bags for my grandchildren I simply wrap a piece of tissue paper around the gift before I slip it into the bag.